Lucy Williams, a fellow Londoner and ultimate queen of all things on trend has fallen in love with our Compass Necklace. Inspired by wild adventures and travel our Compass Necklace is hand carved with beautiful detail echoing the traditional compass. Once an important instrument and means of guidance across the unforgiving seas for young explorers. The Compass has long been a significant maritime symbol, popular among early sailors. An essential token of protection and good luck for their voyages across vast oceans. Inspire others to continue to fulfil their wildest dreams and adventures by wearing our Compass pendant around your neck. As a self-proclaimed wanderer and lover of travel, it is fitting that Lucy loves our Compass Necklace as this piece encapsulates her adventurous experiences perfectly. 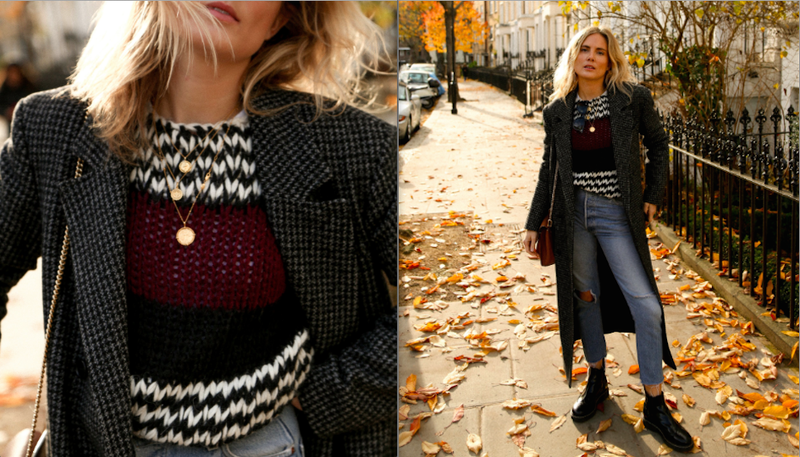 Style up the Necklace just like the lovely Lucy with chunky knitwear, perfect for these cold winter months. Everyday coloured knitwear makes your jewellery stand out – bringing your go-to outfit to life. And for those oh lucky ones escaping into some lovely summery blue skies at this time of year check out how Lucy wears the Compass Necklace in her gorgeous beachwear on her Instagram @lucywilliams02. A stunning girl who shows you how to rock the Compass Necklace in every season, all year round. Our daughter-in-law loves the ‘Bumble Bee’ necklace and earrings. They look beautiful! Very pleased with our purchase and your attention to detail. Thank you for making my beautiful ‘Forever Strong’ jewellery I will treasure it all.